Brownies are the ultimate dessert. They're fudgy, decadent, and the go-to treat for everything from kids' sleepovers to neighborhood bake sales to office parties. But not all brownie recipes are created equal. 1. 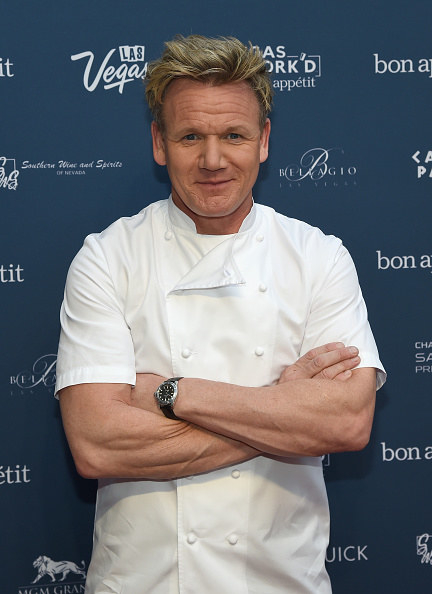 Gordon Ramsay: Because everything Gordon makes is delicious — it's a known fact! But his recipe contained a bunch of extras (like dried cherries and Pop Rocks), so I was a bit skeptical. 2. 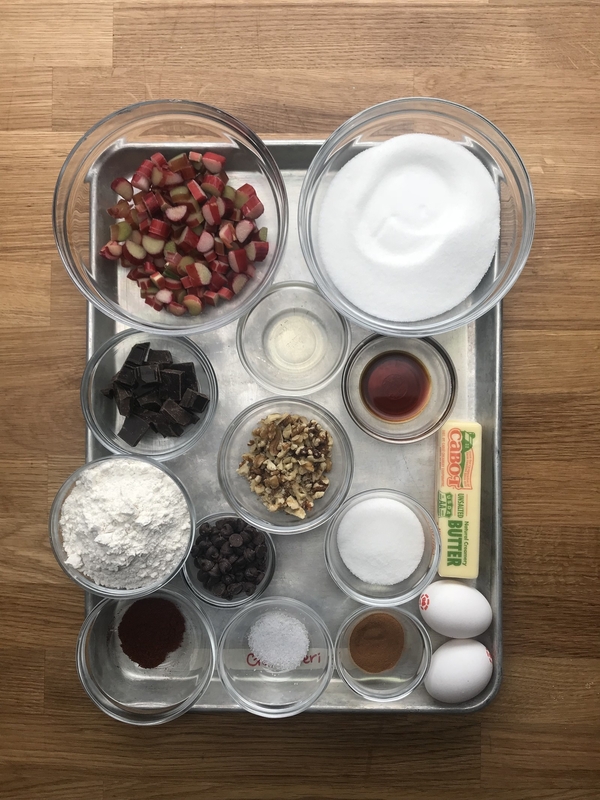 Guy Fieri: Because his Mexican rhubarb chocolate brownies sounded like they would take me on a serious trip to Flavor Town — for better or worse. 3. 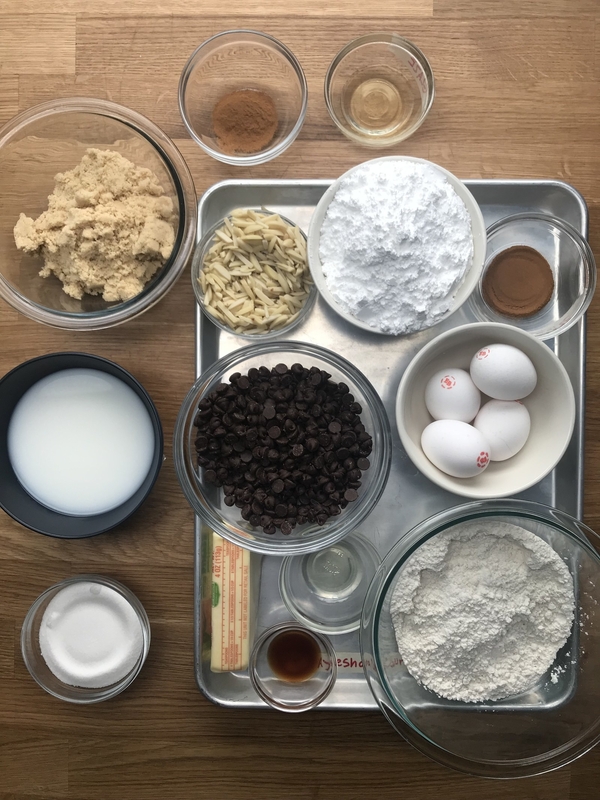 Ayesha Curry: Because her horchata brownies made with almonds, cinnamon, and rice milk seemed like something I (a serious horchata lover) would be into. 4. Victoria Beckham: Because her recipe seemed simple, classic, and safe — and I really just wanted an excuse to say "bake it like Beckham." First up was Gordon Ramsay. 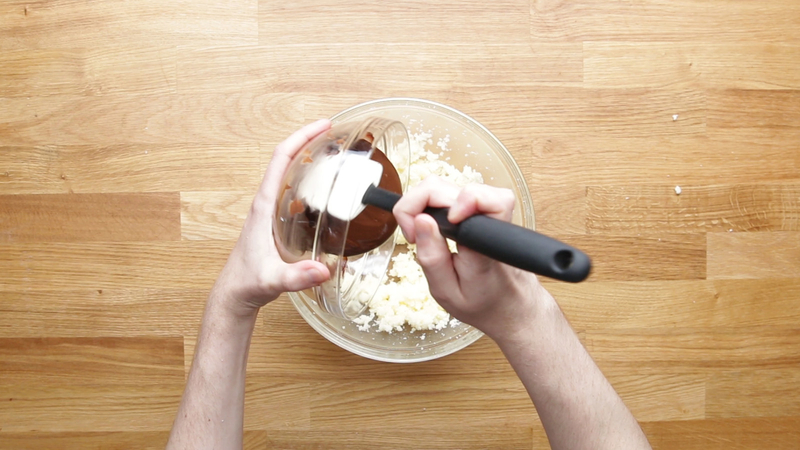 He starts by beating sugar and butter together until fluffy. 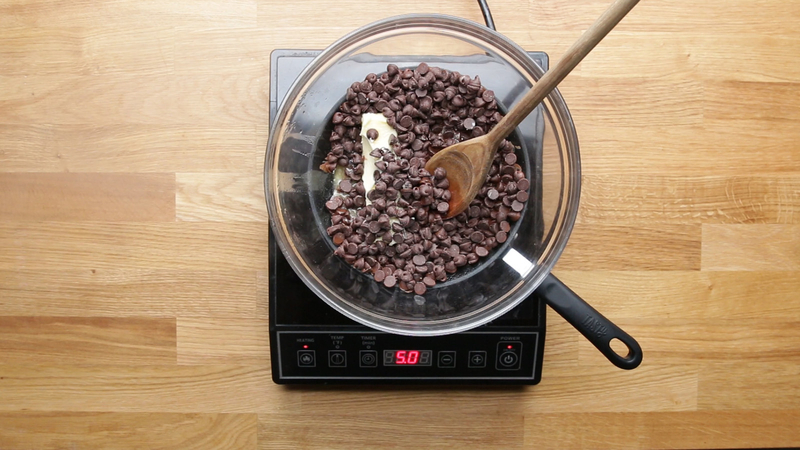 While it's whipping, you'll melt some chocolate. 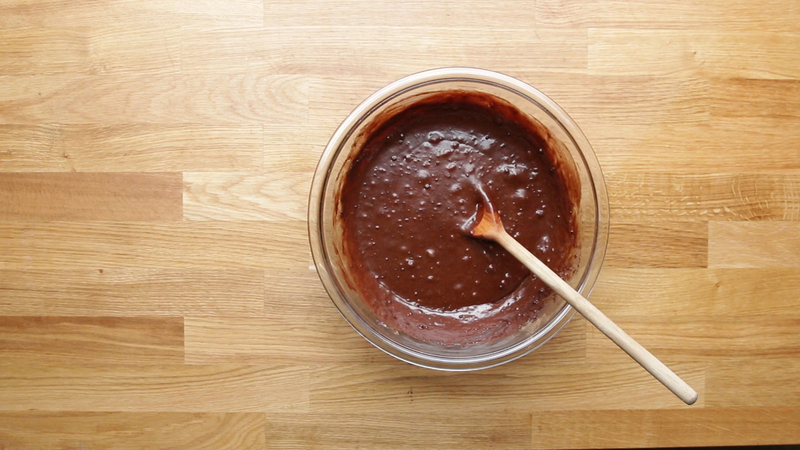 Add melted chocolate to that — along with flour, salt, vanilla extract, cocoa powder, and eggs. Fold in a ton of dried cherries and pop it in the oven. 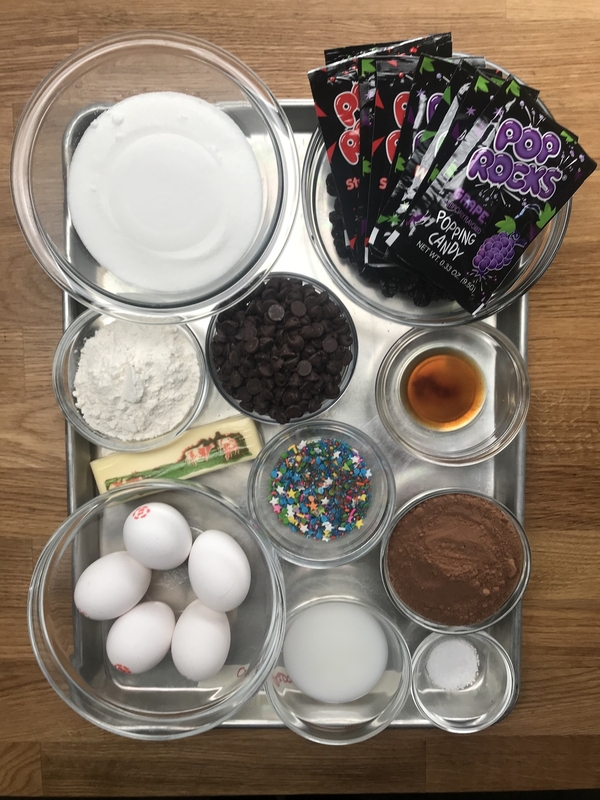 So, were these over-the-top brownies any good? Ehh. I didn't mind the Pop Rocks, but what I didn't like were the cherries. There were just way too many of them and it took away from the rich, chocolatey flavor. It was basically just dried cherries held together with a tiiiiny bit of brownie batter — which is NOT what I wanted. I guess if you love dried cherries you may like this recipe, but it just didn't work for me. 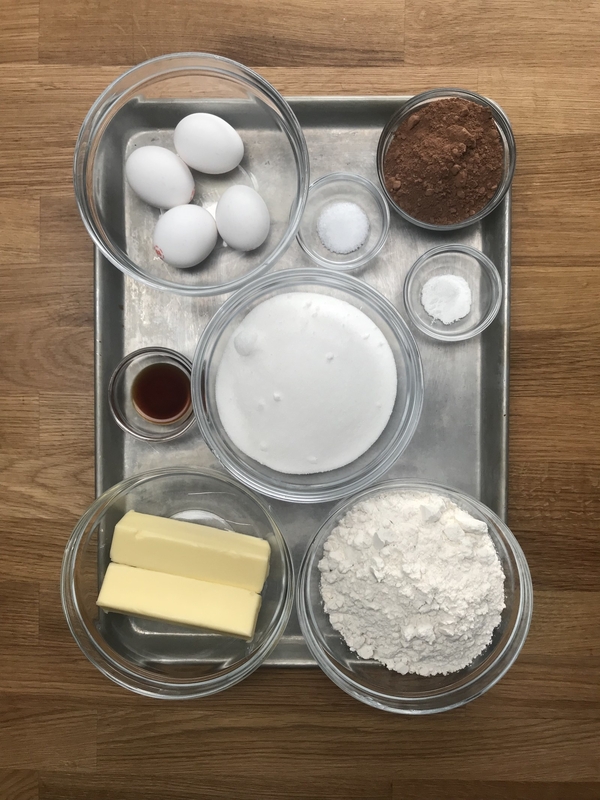 Get Gordon Ramsay's brownie recipe. Up next, I took a trip to Flavor Town with Guy Fieri's Mexican rhubarb chocolate chunk brownies. 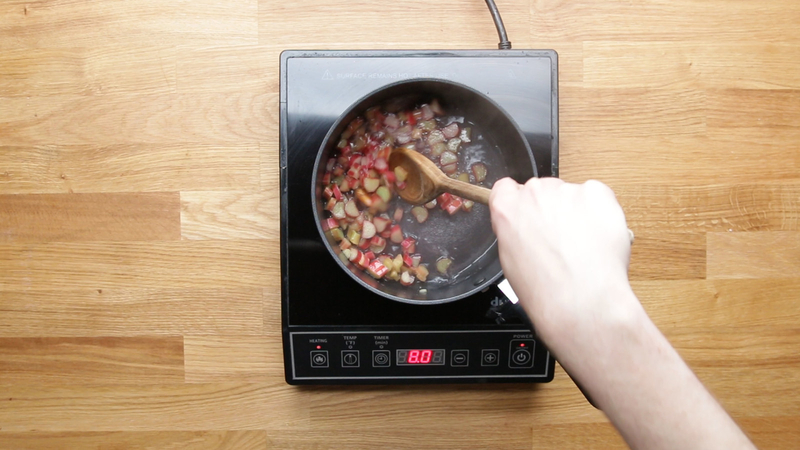 He starts by making a homemade compote with rhubarb, water, and sugar. You basically just combine them all in a pot and let them cook down. Let that cool, then cream butter and sugar together along with some eggs. Add the rhubarb compote, melted chocolate, and your dry ingredients (including an aggressive amount of chili powder). 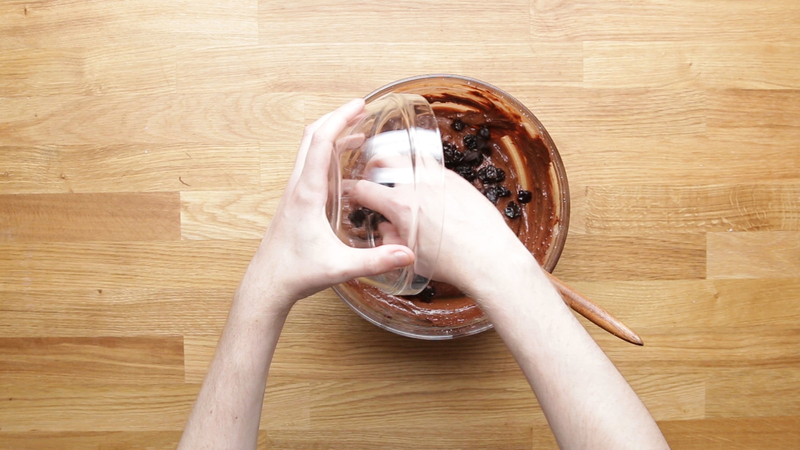 Mix in some chunks of chocolate and walnuts, then let it bake. So, was this a pleasant experience, or just a bad trip? Get Guy Fieri's brownie recipe. Up next was Ayesha Curry with her horchata brownies. She starts by melting down chocolate and butter. Add eggs and vanilla extract — then flour, cinnamon, and salt. Fold in slivered almonds, then pop it in the oven. 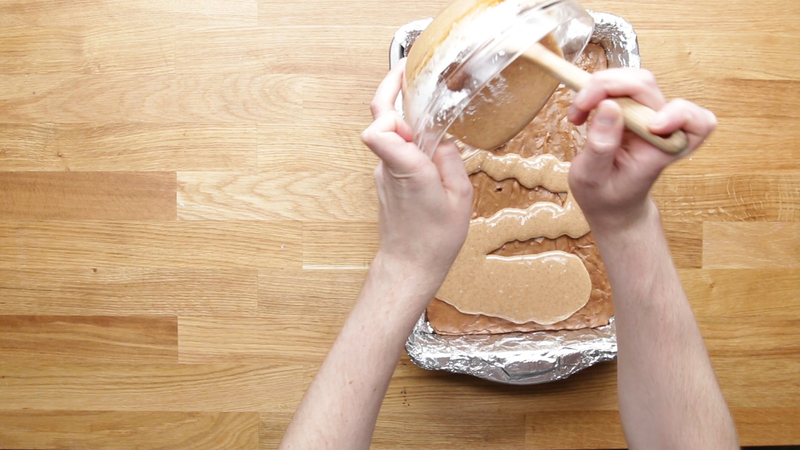 As it bakes, make a simple glaze with rice milk, cinnamon, rum, and powdered sugar. Once the brownies are cooled, pour it over and let it set. So, are horchata and brownies the perfect fusion of flavors — or was it more confusion? These were a perfect flavor fusion — they were legit so good! The subtle almond flavor and pleasant warmth of the cinnamon made it taste like a delicious holiday treat. It was rich, warming, and intensely chocolaty. The glaze was a tad too sweet for me, but I really didn't mind it because they were just that good. Tens, tens across the board for these babies! 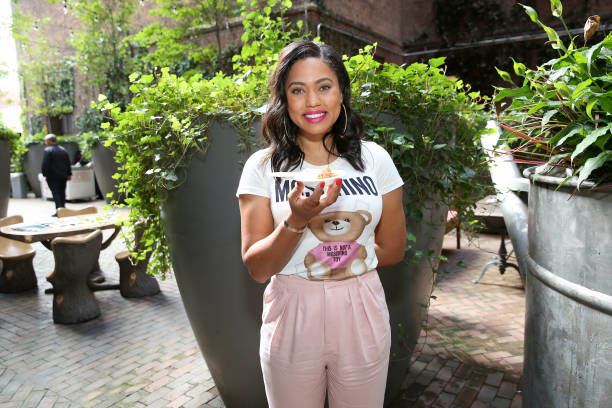 Get Ayesha Curry's brownie recipe. And last but not least it was time for me to ~bake it like Beckham~. She starts by stirring together melted butter, sugar, and cocoa powder. Add flour, baking powder, and salt, then stir until it's completely smooth. 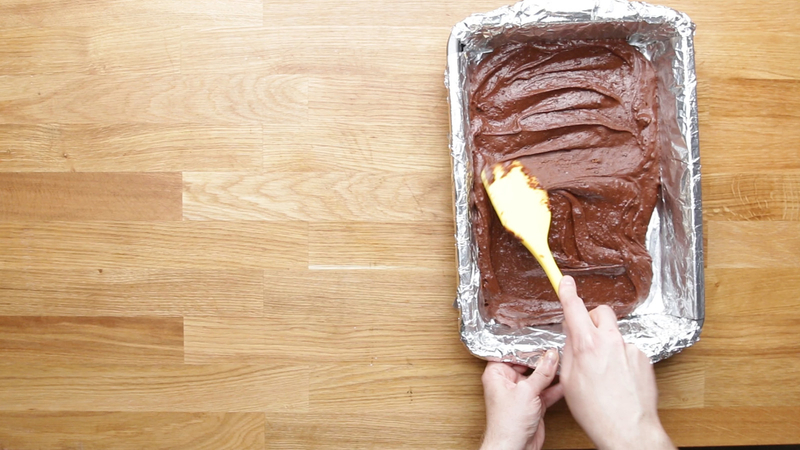 Transfer to a pan and bake — it's that easy! So, were these some posh brownies or what? TBH, they were not. They certainly weren't bad, but they were super cakey and a tad too dry. They looked really beautiful — like a textbook brownie — but the flavor and texture just didn't wow me. Maybe a little ~spice~ would have helped them? 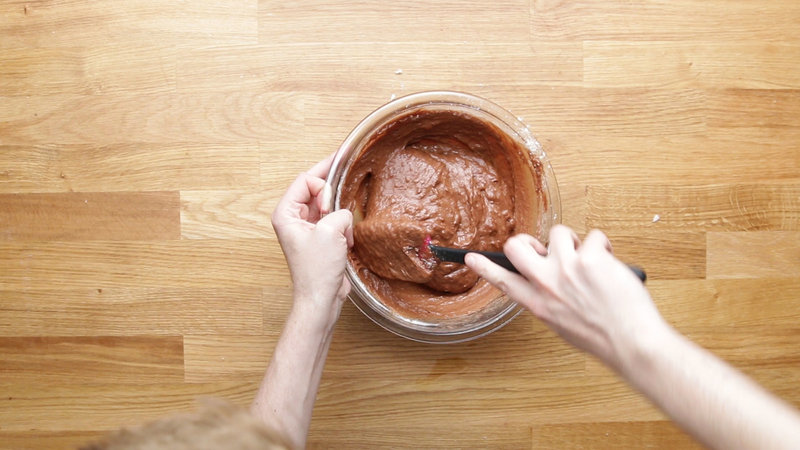 Get Victoria Beckham's brownie recipe. These horchata brownies were fudgy, rich, and loaded with chocolate. The cinnamon and almonds gave them a ton of flavor and took things to a whole new level. Would 100% make again. Get the recipe. Although I was skeptical about these, they actually turned out to be pretty darn good. The rhubarb and chili powder gave them a pop of unexpected flavor that wasn't overwhelming — and it also kept them super moist. Get the recipe. These brownies were a bit of a hot mess. They had a lot going on and looked kinda like a child's project. The brownie batter itself was delicious, but the dried cherries were overpowering and there were too many of them. Get the recipe. These brownies weren't bad, they just weren't very good. The texture was too cakey, and they were too dry for my taste. Although I did like the aggressive salt level, the chocolate flavor was too weak and just didn't cut it for me. Get the recipe. TL;DR: If you want super fudgy brownies (and love horchata), go with Ayesha Curry's cinnamon-spiced recipe. 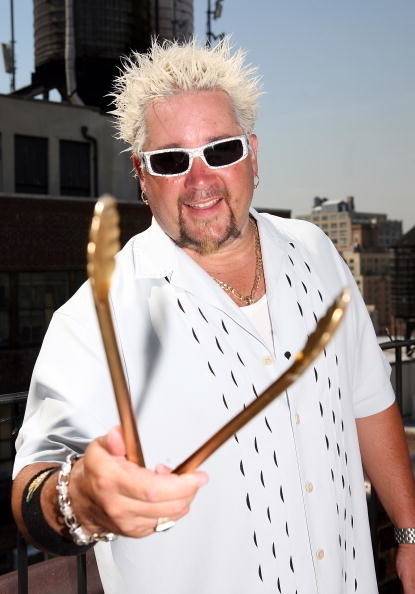 If you're feeling wild (and want to take a trip to ~Flavor Town~), go with Guy Fieri's unexpected rhubarb-chili creation.